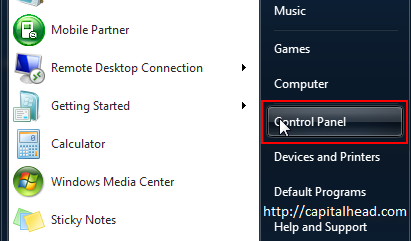 Windows 7 x64 and x86 have a default click sound which plays when you click on a link in Internet Explorer (IE) or when you navigate folders in Windows Explorer. 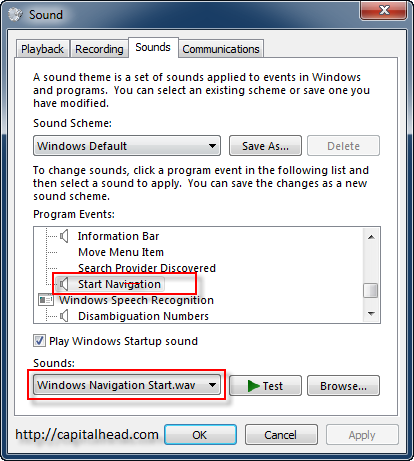 This article will show you how to disable the click sound in Internet Explorer (IE) found in Windows 7. As with previous versions of Windows, Windows 7 x64 and x86 come configured with default sounds, these can be for anything, an email landing in your inbox or in our case the annoying Click Sound in Internet Explorer (IE). The click sound in Internet Explorer (IE) is a nice distraction, however becomes quite an annoying distracting noise that quickly loses its novelty value. 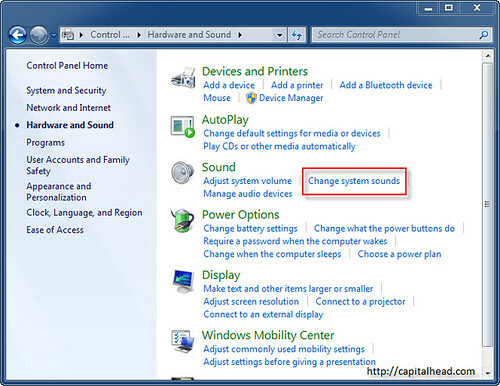 In this article, I will show you how to disable the click sound or noise, depending on how long you've been putting up with it, in Windows 7 x64 and x86. That's it. 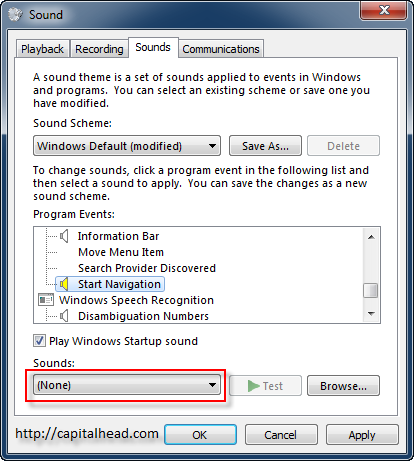 Your Internet Explorer (IE) click sound should now be disabled. But do remember that the changes made above will remove the click sound when clicking buttons and/or links on all web sites you visit - until you set it back. This is a safe change to make and does not affect any other functionality within the Internet Explorer browser. Of course, the changes we just made were performed using the the GUI (Graphical User Interface). In reality our actions made some changes in the registry. So let’s have a look at what happens when we set the sound to (None) as we did in steps 1 through 8 above. As you can see, it’s a simple string substitution with the path to the Windows Navigation Start .wav file. 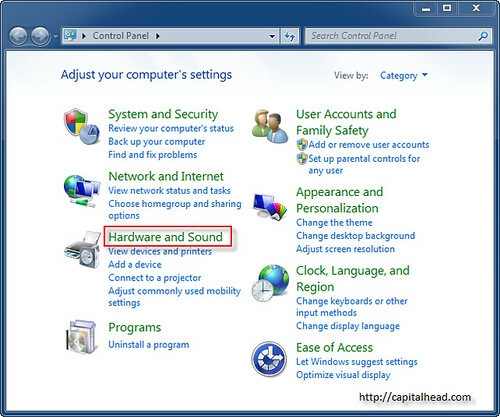 In this article we have shown an easy way of disabling the click sound in Internet Explorer found in Windows 7 x64 and x86. The changes are made using the Control Panel and don't require any messy registry changes.